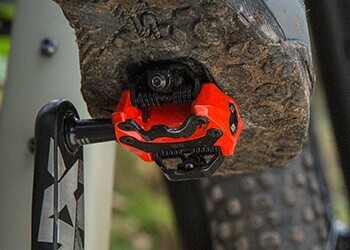 Removing and installing bike pedals might seem like a “no-big-deal” kind of procedure, but if you’ve never changed your own pedals before there are some easy mistakes that could leave you with a stuck pedal and a ruined crank arm. So here is a quick run through the process and some helpful things you should know before changing bike pedals. Screw in until each pedal is fully inserted and tight; then hit the road! Righty-loosey? Trust us, it makes sense. So why do pedal makers add this extra complication? The reason for the left-handed threading is to counter a mechanical phenomenon called “precession.” Basically, the downward force of your foot on the spindle while pedaling causes the axle to “spin” the opposite way in the crank arm. 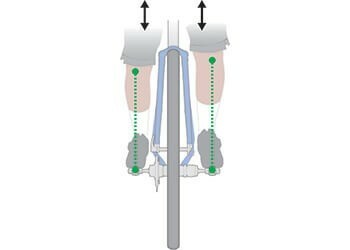 If the left pedal had regular, right-hand threads, that pedaling force would cause the pedal to loosen and eventually fall off mid-ride. So by threading the spindles to pull back into the crank as you pedal, they stay firmly in place without any additional bolts. No stamps? No problem! Just look at which way the threads lean. Like most maintenance jobs, having the right tools is the key to a successful pedal swap. All modern pedals will screw into the crank arm using either one of two tools. 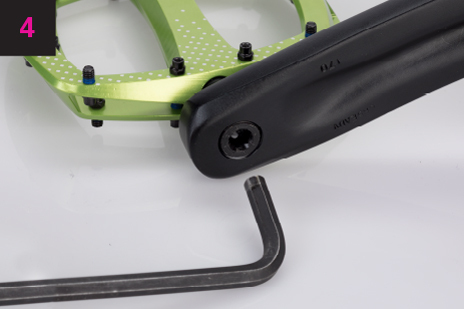 Most pedals require a pedal wrench, which is a long, thin tool specifically designed to fit the external spindle flats between the pedal and the crank leg (fig. 3). 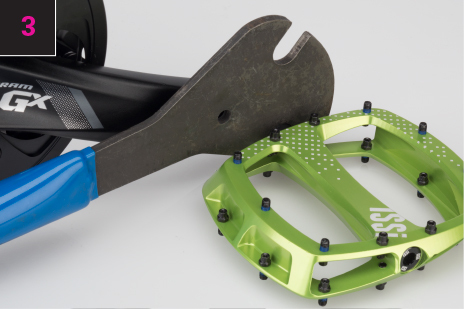 Even though you might already have a regular wrench that fits, a good pedal wrench is not terribly expensive and will save you from a lot of frustration and possibly some bloody knuckles. Trust us on this one, it’s WAY easier. 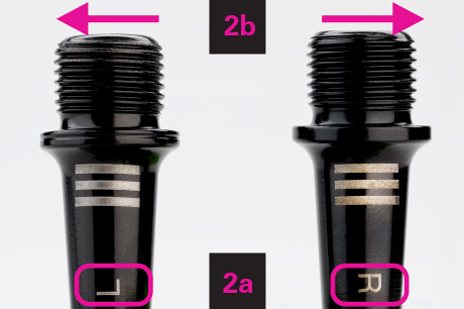 If you are upgrading to high-end pedals, you will most likely just need an appropriately sized hex key, which fits the spindle from the inside of the crank leg (fig. 4). We also recommend having an adjustable torque wrench and bike grease on hand. These will make sure that your pedals are tightened to the manufacturer’s specifications and are easy to remove later.